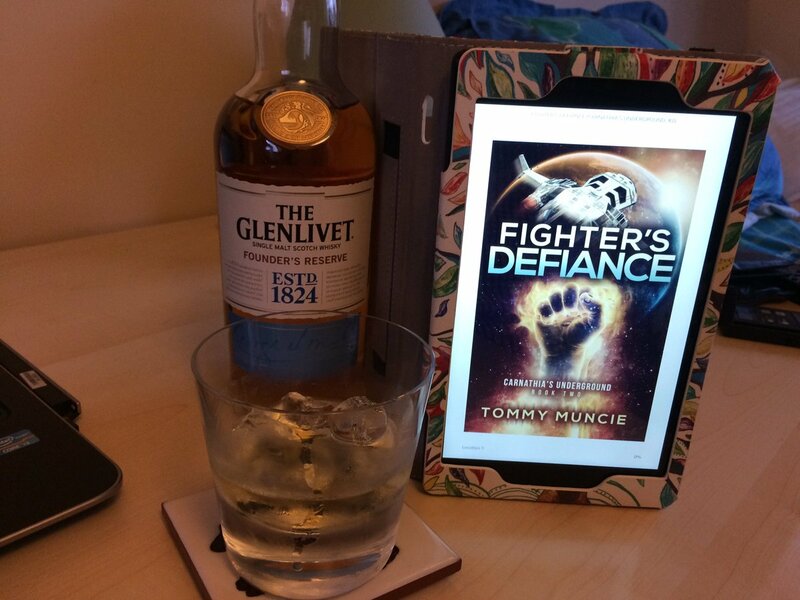 So, I got Fighter’s Defiance back from my editor on Friday, and on a whim decided to launch it a month early. It feels damn good! Yeah, I can’t resist that image of my books next to each other, cropped from my Kboards signature (I still go to that crazy place, nutcase that I am). When I think about where I started, part of me still can’t believe I’ve made it this far. Four books since 2014 may not seem like much when compared with some authors who can do that in one year, but when you’re the guy whose greatest achievement in life (possibly) is four books, it does feel like a pretty big deal! Let’s have a shoutout first of all to those who helped me along the way with this. First, I had two professional authors read a section of the two Carnathia’s Underground books, so Michael Patrick Hicks and G S Jennsen, thank you. You read a different excerpt each and I probably revised those two scenes more than any other. Your feedback was invaluable. I’ve had a couple of guys from the newsletter subscribers ask me what order they should read the books in. I’ll go for a definitive answer this time: Read ‘Carnathia’s Underground’ first. …but when in doubt, the best order is probably the chronological one. The events of the CU books unfold first. I’m in the process of taking Shadow’s Talent off its permanently free price, because to be honest I think the CU books are a better introduction to what I’m like as a writer. That’s not to say they’re the better books, by any means. That’s for you guys to decide. But they are more accessible. The Talent Show books are more challenging to read but reward you in spades with their surprises if you’re prepared to stick with them. Carnathia’s Underground is a quick fix that also delivers a pretty cool reward – the written equivalent of a few shots of good scotch but with (hopefully) no hangover. When in doubt, have a drink first. Congratulations! I’m glad I could help in the smallest way. I really appreciate your upbeat perspective; it’s very refreshing. And when in doubt, have a drink first ;). Woah this is great! Congratulations! I ll definitely try reading this.